EEEPPP!! 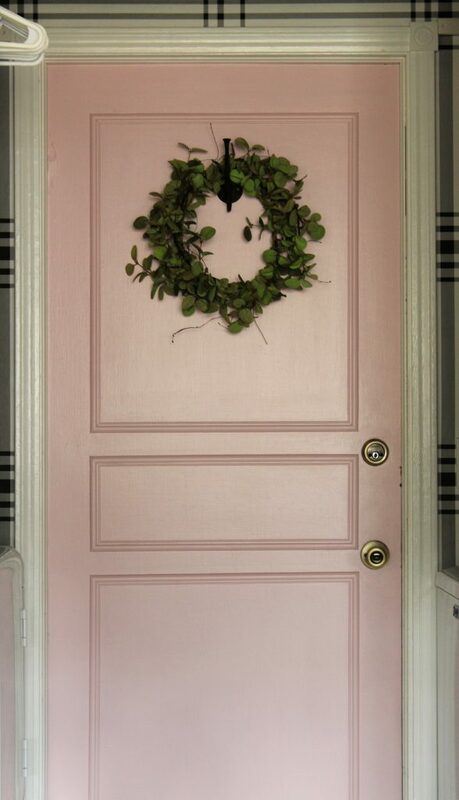 Do you just love the pink door?!? Let me tell you – this room is tiny with no real source of natural light, and really no way to properly light with a light kit, so I did the absolute best I could with the pics. 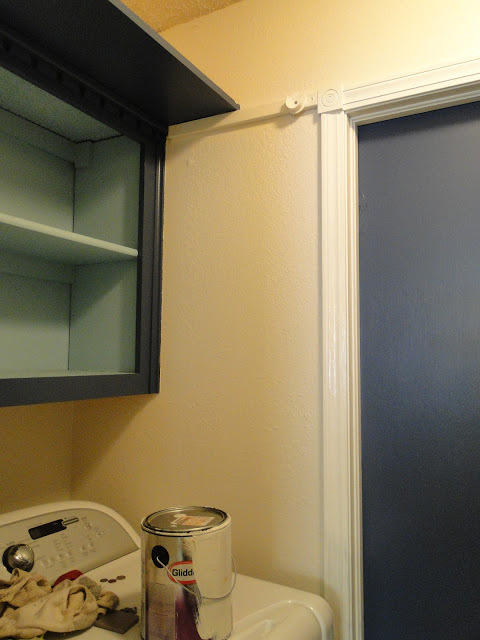 You might notice a tiny bit of discrepancy in color especially with the door. I took a couple with the light off, letting in light from the kitchen, so you could get a better idea of the color. It’s a beautiful blush pink and everything I hoped for! All the heart eyes for this detail! The color is Behr Cranapple Cream. The molding turned out great and did you notice anything else?? The pet door is gone. Hubby filled it with some scrap wood and I filled with putty, sanded and painted. If you look really close you can see but you have to look really close. What about the “wash” and “dry”?!? Yes, I hear you! I love that as well!! Here are more shots of that. I seriously wasn’t feeling this makeover in the beginning. Strange I know. I just wasn’t sure how it was gonna all come together. And then I found that floral paper. And I was over the moon!! 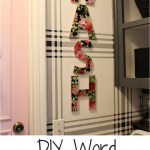 Some chipboard letters from Hobby Lobby, some Mod Podge and that paper, and voila! 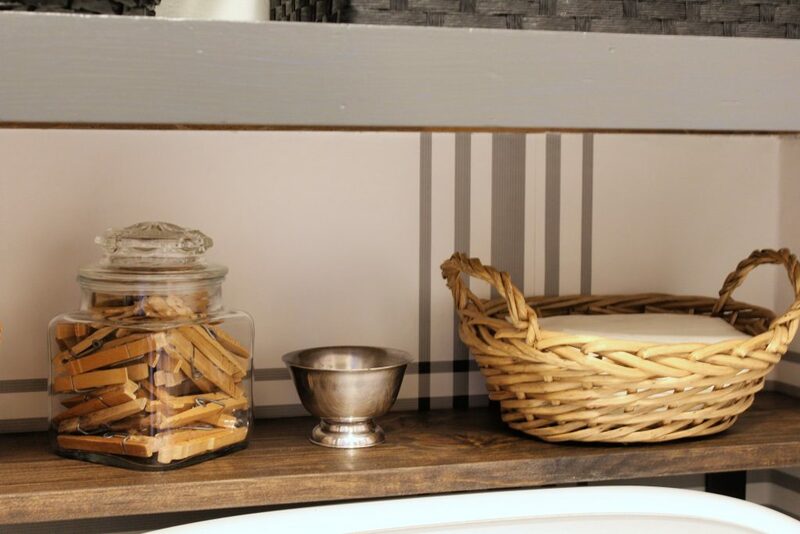 The cabinets got an update with some paint (Sherwin Williams Peppercorn) and a little piece of wood to trim out the shelf – to make it look more like a built-in than a cabinet without doors. 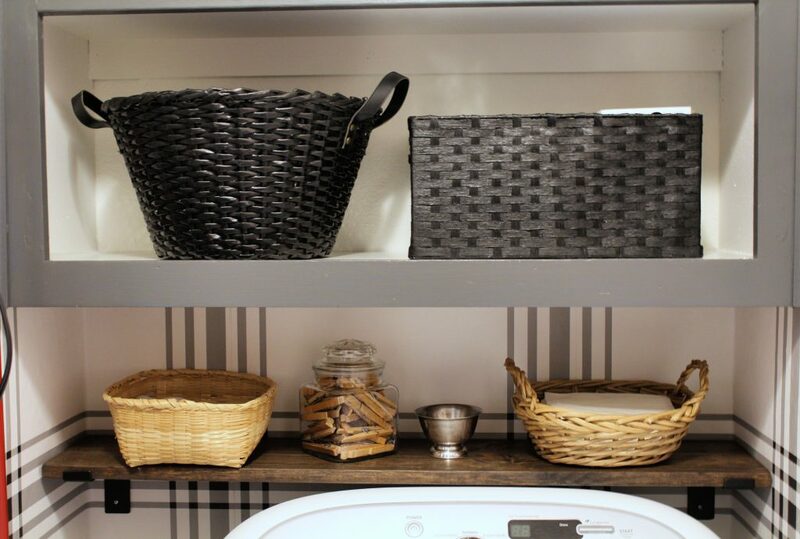 And, new storage baskets from At Home. They have a huge selection and great prices. 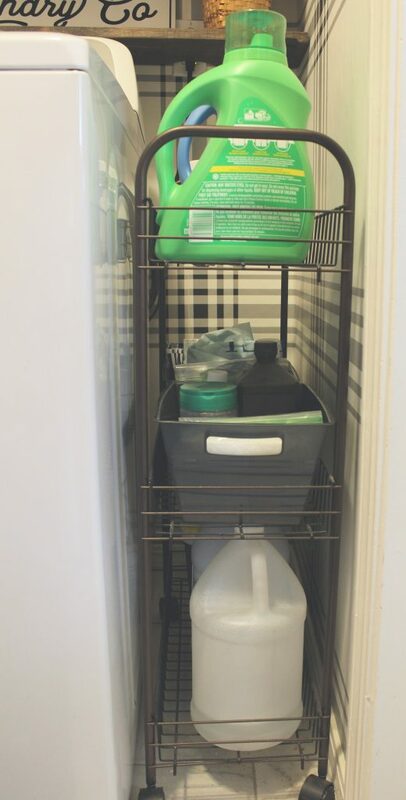 We also added a shelf above the washer and dryer. 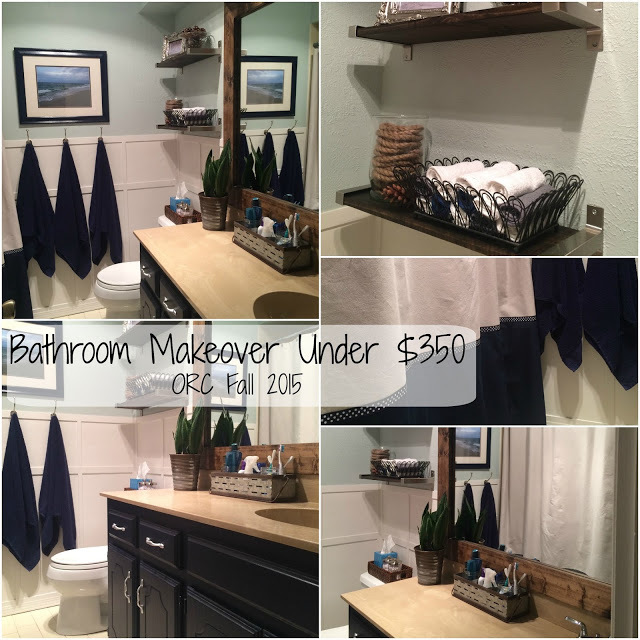 Simply a couple of brackets from Hobby Lobby and a piece of common wood which I stained with my favorite stain – Dark Walnut. 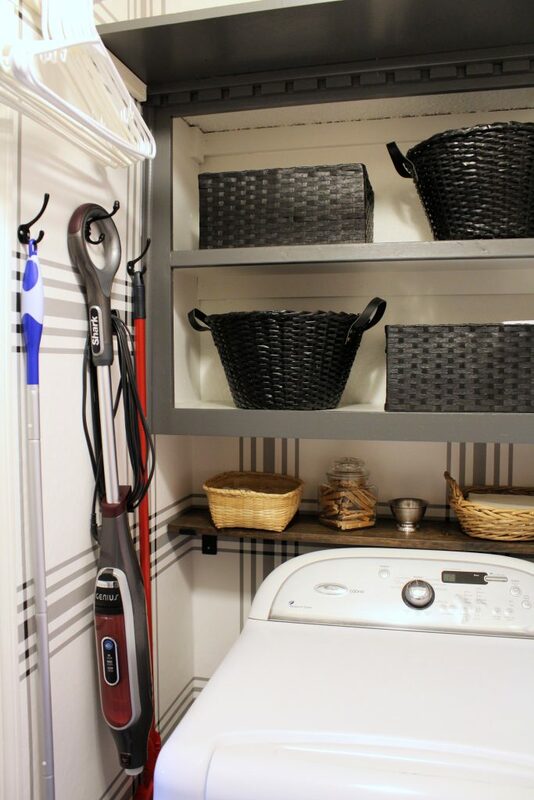 The main purpose was to hide all the mechanics of the washer – mission accomplished! The light came from Walmart, and the sign from Hobby Lobby. Everything else was either thrifted or pulled from my stash. I also added a fake plant because I love the idea of green in here, but with no light, there aren’t any plants that I know of that will live, so fake it is. I also added some other practical storage solutions. 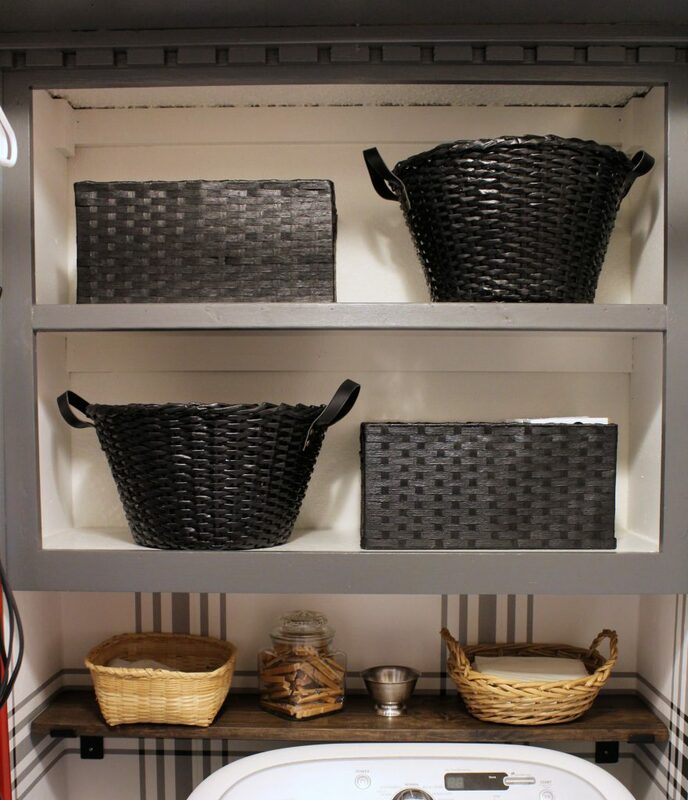 Hooks for brooms and such, and a rolling storage caddy I picked up at TJ Maxx that slides in next to the washer for all the laundry supplies, and even some other cleaning items. Of course before I let you go, I need to show you another shot of the before…. and that same shot today…. LOOOOVVVEEEE IT!! 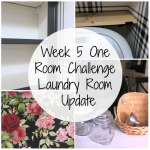 So thankful for this challenge and for Linda who created it! Every time I jump in I’m excited, and then I find myself panicked, certain I won’t finish, annoyed that I started, and then thankful. Always thankful, because despite all the stress and anxiety that comes with this challenge, I have a finished room. Which might not happen otherwise! 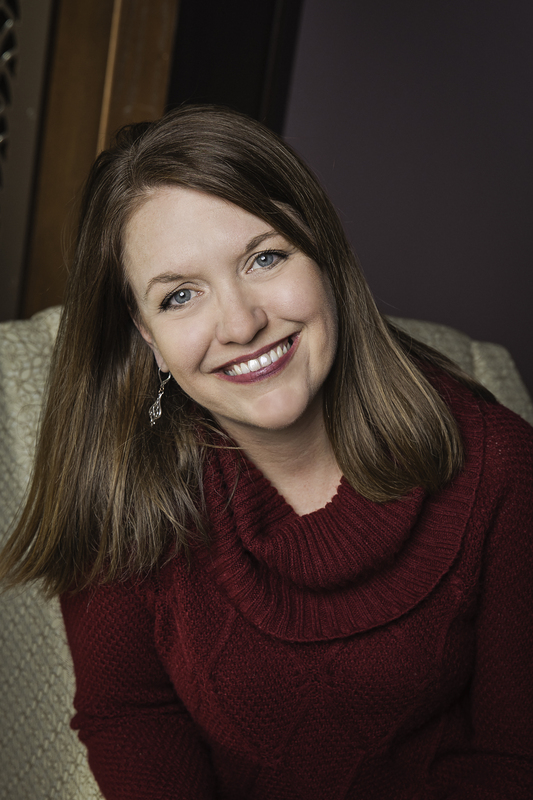 We don’t always have deadlines in our homes, like we might in the home of a client. So, for me, this is just the kick in the pants I need to start and finish a project completely in a reasonable amount of time! Be sure to stop by and check out all the other guest participants. There are some beautiful rooms out there!! Also, the featured designers revealed their rooms on Wednesday, and wow! Thanks again for following along and cheering me on!! I appreciate y’all!! Now on to planning Thanksgiving and Christmas content!! Denise!!!! LOVE LOVE LOVE that pink door. It truly makes the space. Just beautiful. Denise!!! You outdid youself! This little space looks amazing! Love the walls, the pink door and it’s trim, the cabinets, the shelf, all gorgeous together!! Congrats, you must be so happy and I’m thrilled for you! Thanks Lisa!! I am loving it! That pink door is fantastic! Incredible job well done!! Turned out so good! Love the wallpaper you chose! Grest job. 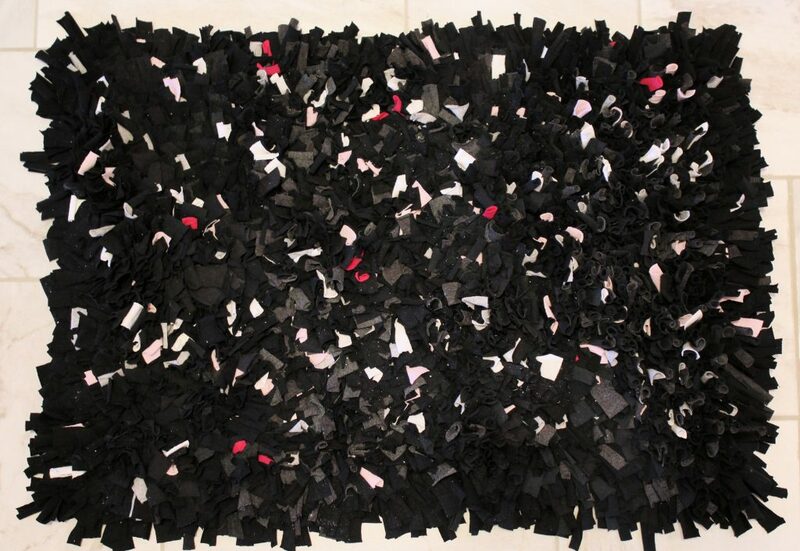 The pink with the black and white is beautiful. 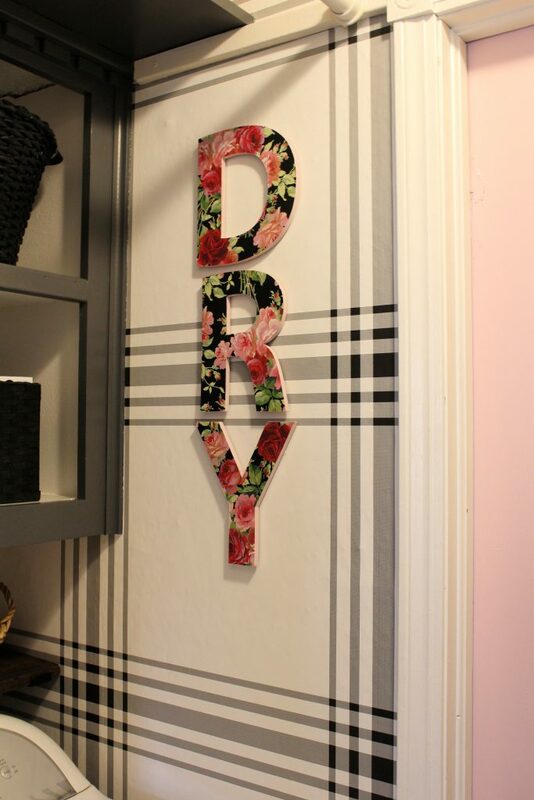 Those chipboard letters are also the perfect pop of floral! I love it! OMG! 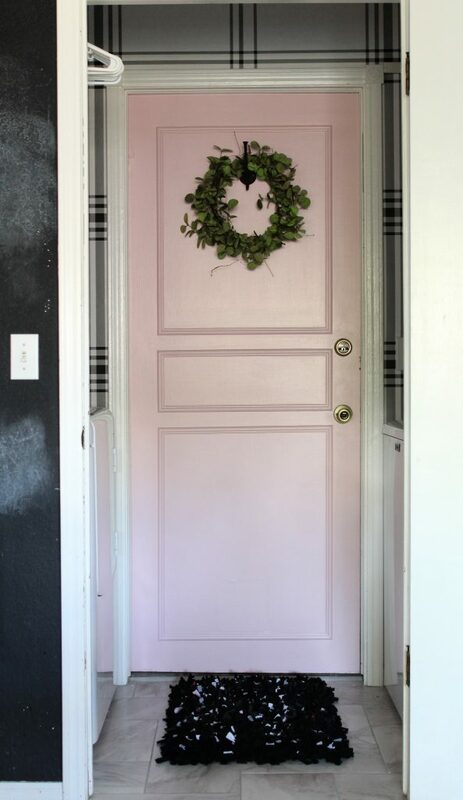 I love the pink door with the plaid wallpaper so much! 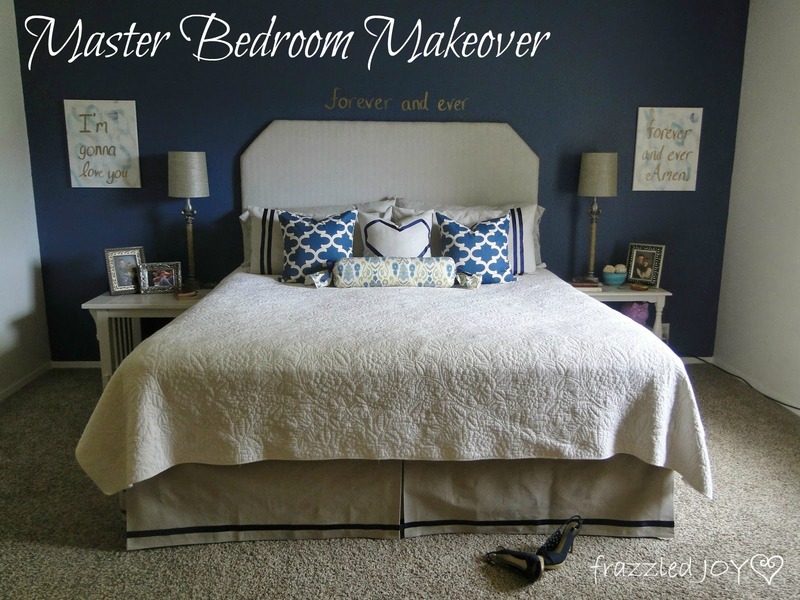 Your room is gorgeous! OMG I looooove it! 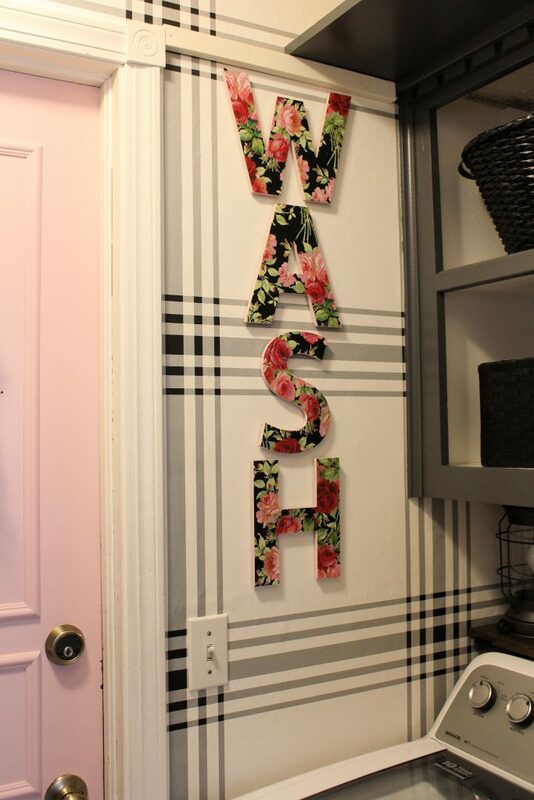 That plaid wallpaper with the floral letters and the pink door. It totally has my heart. 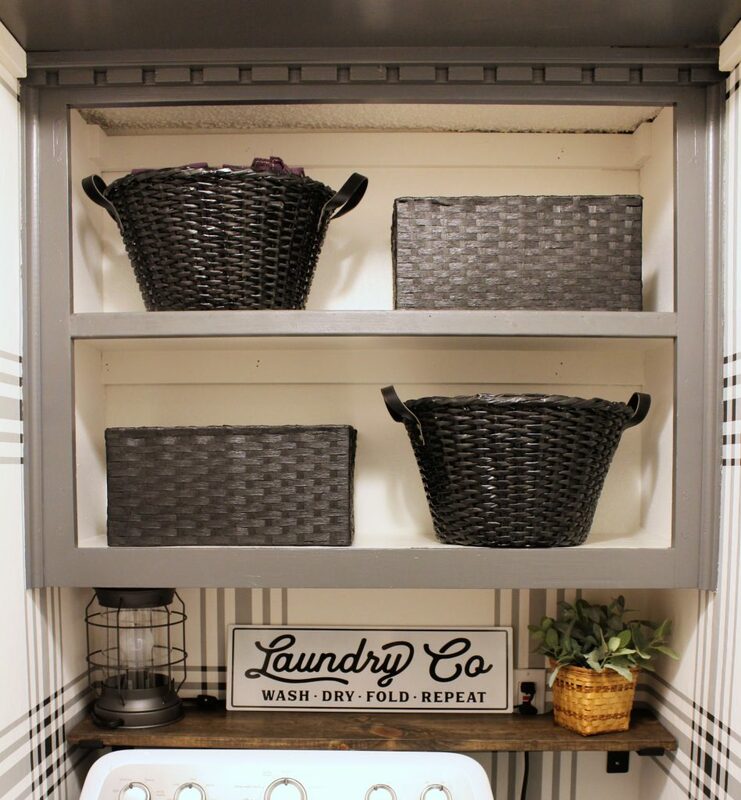 Best laundry room award! Looks great Denise! Adore that pink door! So cute! 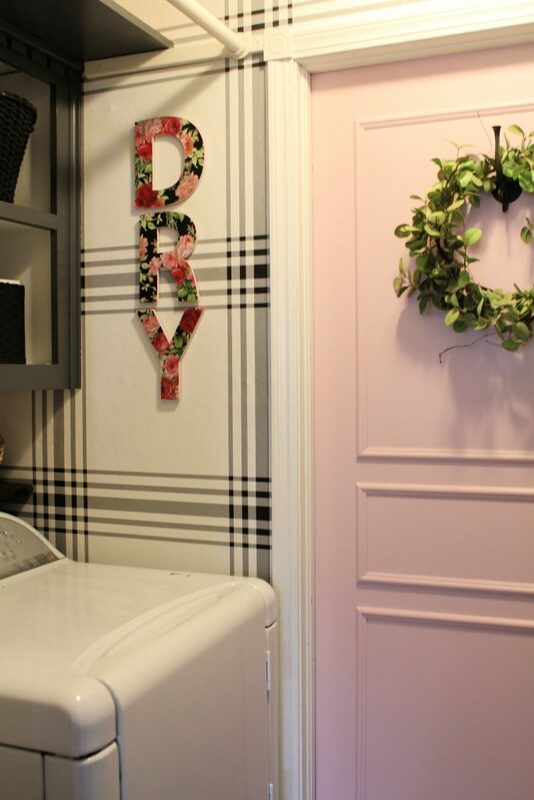 I love the plaid wallpaper with the pink door! 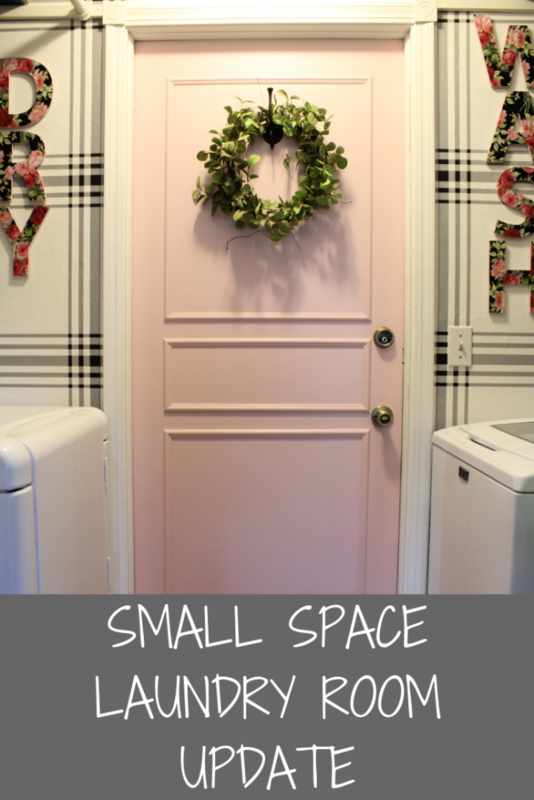 I’m in love with the plaid wallpaper and pink door combo! 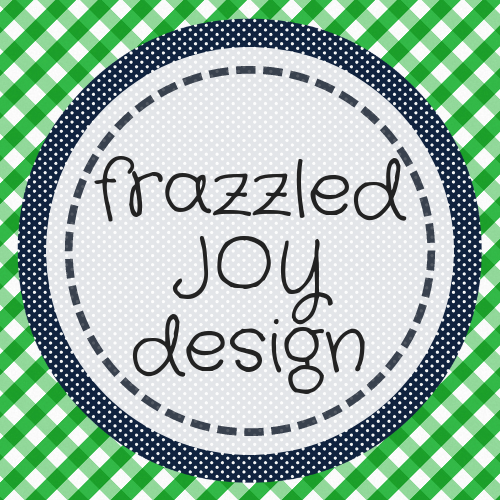 Now I see how you used that pretty scrapbook paper and I love it in the room! Congrats on a wonderful ORC reveal! I love how unique and colorful your room is! Such a breath of fresh air! Denise, this looks amazing! I love the wallpaper and that pink door. 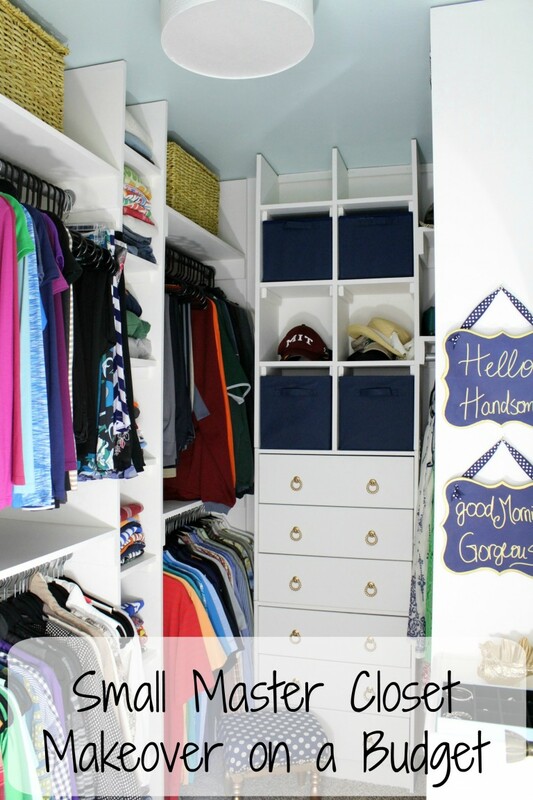 Nice job making a utilitarian room so pretty and welcoming. Thank you Stacey! 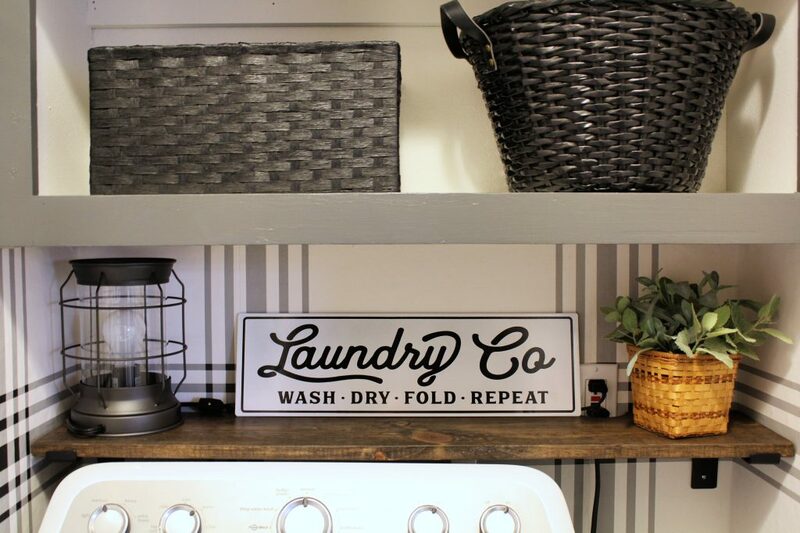 It certainly makes doing laundry a little more enjoyable! 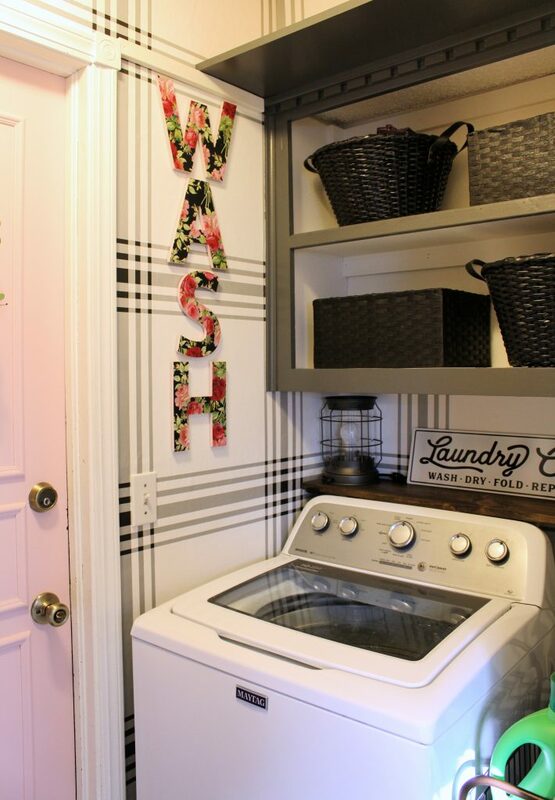 This laundry room could not be more perfect. And can we talk about the pink door?!! What a nice and unexpected surprise. I love it. Congrats on a great finish!